Cut 1 head cauliflower into florets. 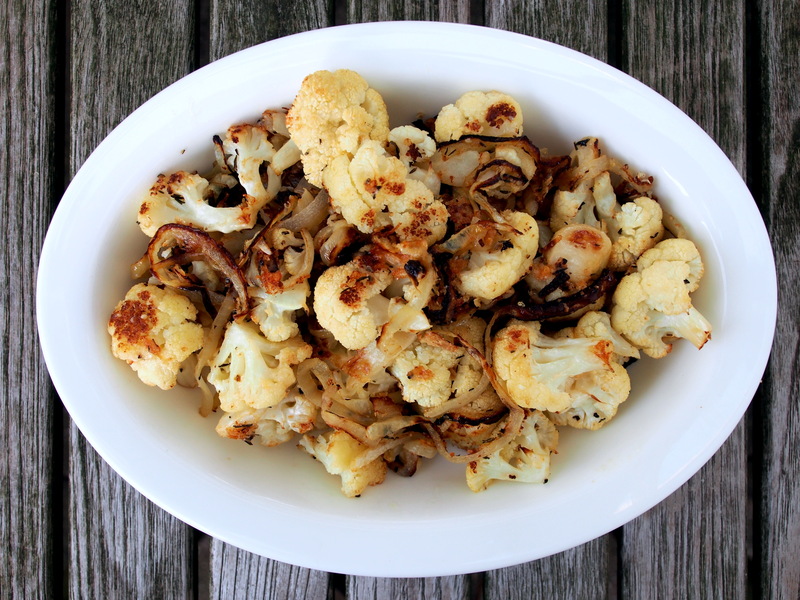 Toss on a large rimmed baking sheet with 1 sliced medium onion, 4 thyme sprigs, 4 unpeeled garlic cloves and 3 tablespoons olive oil. Season with kosher salt and freshly ground black pepper. Roast, tossing occasionally until almost tender 15 to 20 minutes. 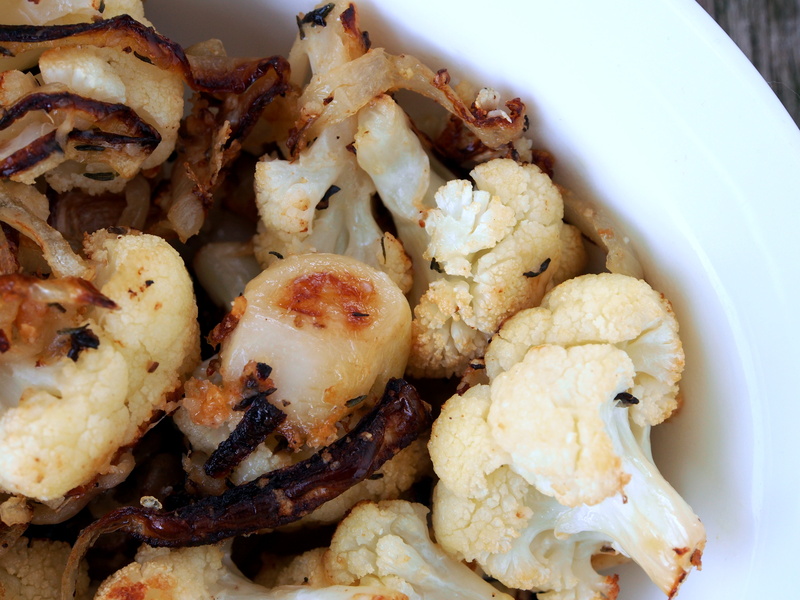 Sprinkle with ½ cup Parmesan, toss to combine, and roast until cauliflower is tender, 5 to 10 minutes longer.